Show your next gym or fitness studio that you carry dance teacher insurance by quickly downloading our Certificate of Insurance online. You can even add customers as an Additional Insured before you download it with no fees, ever. 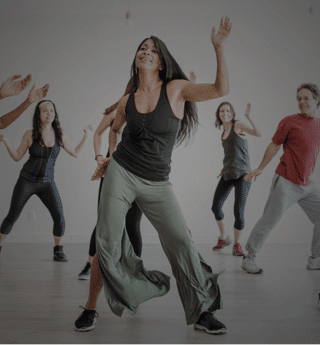 Are you teaching a fantastic Zumba class with a waiting list for sign-ups? Your insurance for teaching would even cover you as you move, gym to park to wherever you go next. Go ahead and book that big job; we've got your dance instructor insurance covered, so you can work on what matters to you: your business. We hope you'll be satisfied, and you can cancel instantly online anytime. Cash flow trouble? Our payment plans allow you to pay your business insurance premium on a monthly basis so you can keep your business running and insured at the same time. Of course, we don't charge any extra fees if you choose that option. A student falls and hurts her knee while moving to the music, and she sues you for the pain suffered during her injury. A client blames you when he doesn't lose as much weight as he thought he would after doing your classes three times a week. He sues you for not meeting his expectations as an instructor. You recommend a particular nutritional supplement to your students, one of them breaks out into hives and sues you for medical distress. They don’t bother you with a million emails and coverage is great and does not cost a fortune! Thanks for helping me stay covered and keeping me up to date on all of your new offerings.